New Delhi: As internationalization of higher education gains ground in India, leading B-schools are scrambling for global accreditations to boost their brand name, improve rankings and enhance collaborations in academics and research. Indian schools are opting for three kinds of accreditations: the UK’s Association of MBAs (AMBA), the European Quality Improvement System (EQUIS) and the American AACSB (Association to Advance Collegiate Schools of Business). While EQUIS and AACSB accredit overall performance of a management school, AMBA accredits individual programmes. “We don’t want to remain just a good B-school in India. The aim is to have same credentials globally and for that, global accreditation is a must," Biju Paul Abraham, dean academics at the Indian Institute of Management Calcutta (IIM-C) said in an interview. IIM-C is the only Indian school to have AMBA, EQUIS and AACSB accreditations, known in the management education world as “triple crown". Abraham said a school benefits from such accreditation in three ways. First, it helps the school get foreign students, thus improving diversity on the campus; second, it attracts the best schools in the world to have collaborations and third, the brand profile of a school goes up globally. For example, IIM-C has now partnerships with 91 top B-schools from across the globe and most of them have global accreditations—including 17 triple-crown schools and 22 double-crown schools. In the present semester (September-December 2017) some 89 foreign students are at IIM-C pursuing a semester-long course and some 132 IIM-C students are in partner schools as part of exchange programs. 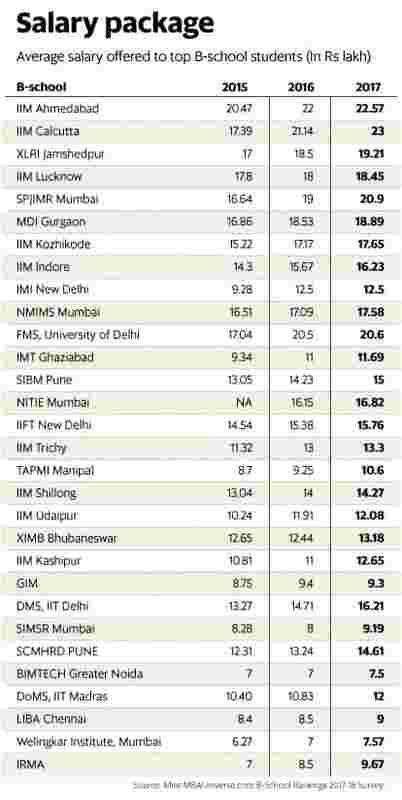 Not just IIM-C, IIMs at Ahmedabad, Bengaluru, Indore, Lucknow, Kozhikode, Management Development Institute in Gurgaon; International Management Institute (IMI) in New Delhi; Institute of Management Technology (IMT) Ghaziabad; TA Pai Management Institute (TAPMI), Manipal; SP Jain Institute of Management and Research (SPJIMR), Mumbai; and Xavier School of Management (XLRI), Jamshedpur, were among a growing number of top B-schools who have bagged one or more international accreditations. Besides, nearly two dozen other schools in India are in the process of bagging such accreditation. The Indian School of Business (ISB) Hyderabad won EQUIS accreditation earlier this year, and previously, it has bagged the coveted AACSB accreditation. The school said the AACSB and EQUIS authorities evaluated its quality measures. In an email, the school said such bodies evaluate the institution’s focus on internationalization and ethics, its connections with the corporate world, and how it balances between academic and managerial relevance. 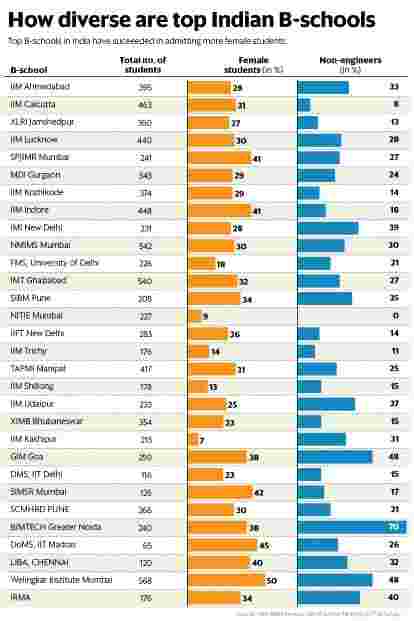 B-school authorities said Indian schools lag behind in global rankings largely due to their poor internationalization—both in terms of students, faculties and joint research. With global accreditation gaining currency in the country, the Indian schools may see a marked improvement in global league tables, said Harivansh Chaturvedi, director of Birla Institute of Management and Technology (BIMTECH). Chaturvedi said since several of the top B-schools in India are offering post graduate diploma and not MBA degrees, such global accreditation gives them a level playing field with global schools. He said his school is hoping to bag the AACSB accreditation in 2018. AACSB authorities have been evaluating the school and its processes for last couple of years. Such prestigious accreditations, Chaturvedi said, also helps in getting research funding from global multilateral agencies. “AACSB’s accreditation standards are designed to help schools discover—and deliver on—their differentiated mission, so they can foster meaningful change through engagement, innovation, and impact," Robert D. Reid, executive vice-president and chief accreditation officer of AACSB International said in a posting on its website. Among thousands of B-schools globally, only 799 schools from 53 countries have AACSB accreditation. According to AACSB, it looks at “excellence in areas relating to strategic management and innovation; student, faculty, and staff as active participants; learning and teaching; and academic and professional engagement" among other factors.